What is Microsoft Sway, and What Can I Do with It? As part of Microsoft’s push towards cloud and mobile apps, it has invested in several cloud-only additions to the old Office apps with which you’re familiar. One of these is Sway, a friendlier alternative to PowerPoint. If you’ve ever worked in an office environment, you most likely associate PowerPoint with shiny-suited salespeople and managers with no public speaking skills. That’s not entirely fair, because you can produce brilliant presentations in PowerPoint. But, life isn’t fair, and PowerPoint is a big, heavy, corporate tool with a matching reputation. Enter Sway, which is Microsoft’s attempt to provide a lightweight, cloud-only, story-telling application that is easier to use than PowerPoint and provides more narrative devices than simply slide after slide of bullet points. 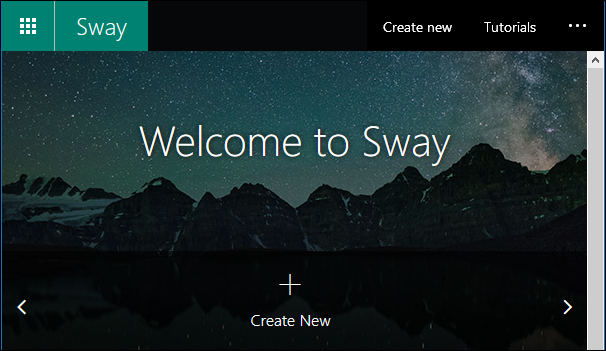 Anybody can use Sway if they sign up for a free Microsoft account. People with an Office 365 can also use Sway. 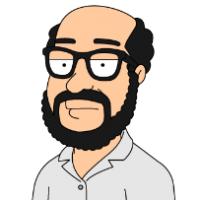 There are some differences between the free version and the Office 365 version, but these are mainly on the admin side and let you do things like password protect a Sway (oh yeah, Sway documents are called “Sways”) or remove the footer. There are also some differences in how much content you can fit into a single Sway, but the free version still provides more than enough for the average user. 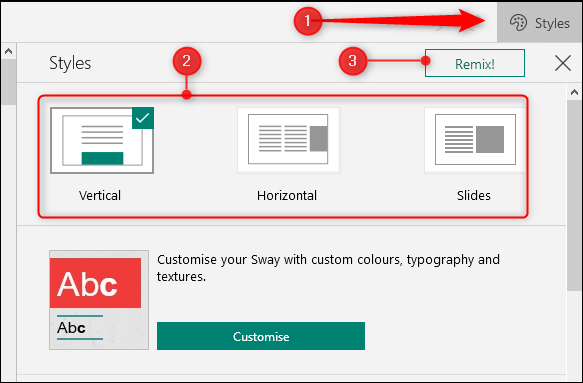 Let’s take a look at why you might want to use Sway. If there’s one thing more intimidating than staring at a blank Word document wondering what to write, it’s staring at a blank PowerPoint presentation wondering what to add. Presentations are by their nature intended for others to view, and plenty of people are terrified of public speaking to start with, so a blank PowerPoint can be enough to make you give up then and there. This fear has always been one of the biggest problems with PowerPoint. Thankfully Microsoft has recognized this, and they’ve gone to great lengths to prevent this fear with Sway. Most people are not specialists in design and layout, so Microsoft has provided a bunch of templates (18 at the time of writing) for common presentations to help get you past the creator’s block and started designing. These templates include things like business presentations, portfolios, resumes, and newsletters. They also provide several “get inspired” presentations to give you an idea of things Sway can do. If what you’re writing about doesn’t appear here, or you’re just stuck on what to put in your presentation, Sway can help you build an outline. There is a “Start From a Topic” option which will bring up a topic selector from which to choose. We can’t emphasize enough how impressive this part of Sway is. 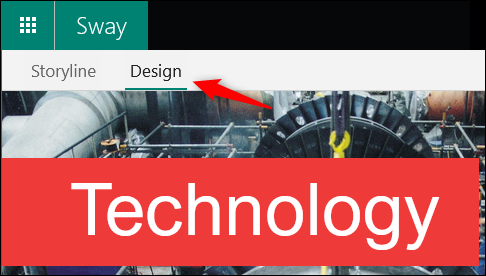 If you enter a term—we used “technology”—Sway will produce the outline of a presentation for you, with definitions, uses, areas to cover, suggested linked topics, images, and more. This is all powered from Wikipedia data and gives full links back to the pages it uses. There’s only so much to say about this before we run out of superlatives, so really, try it yourself. It’s simply brilliant. There’s also a decided emphasis on storytelling, rather than presenting. Sway is designed for a narrative structure that flows, either left to right or up to down, and the presenter (or reader) can use a mouse wheel to move through it rather than a button or a click. This is a small but subtle distinction; PowerPoint feels like a series of steps but Sway feels like a journey, so it’s easier to follow the flow as if you’re reading naturally. For this reason, Sway doesn’t have slides; it has a single storyline. Whether you’ve picked a template, started with a topic, or are beginning with a blank Sway, you add what Sway calls cards to enter new content. There is a multitude of different cards to choose from, such as text, video, grid, or heading, and each one is tailored to a specific kind of information. But unlike PowerPoint slides, the cards work together seamlessly as you scroll through the finished Sway. This means that they’re read as part of a narrative, not individual elements. When you’ve finished your Sway, or you want to see what it looks like so far, there is a Design option to help you with the finished product. You can scroll through your Sway and flick between Storylines and Design to make and review changes. Sway will also help you with the design elements once you’ve started getting the content the way you want. In the top right of the Design page is a Styles option, which gives you access to layout options and the ability to “remix” your design. You can choose whether your Sway scrolls horizontally or vertically (and yes, even as individual slides if you want to), the color theme, the background, and a few other things as well. 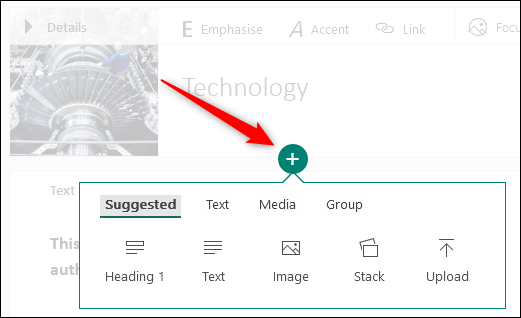 Of course, it can be difficult to know if what you’ve chosen will look good to others, and there are plenty of options to choose from, so Sway gives you a Remix button which will apply a random design to your Sway. You can click Remix as many times as you want, and it will be quite a while before it starts repeating designs. 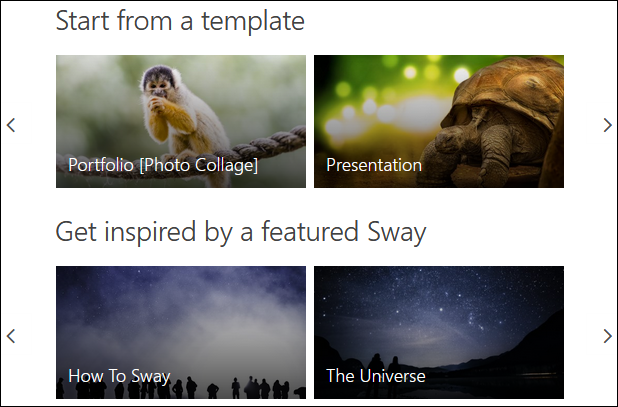 When you’ve got your Sway the way you want, it can be published and shared. Remember, this is a cloud-only app, so there’s no file to download, but you can embed a Sway in a web page if you want people to view it without having to go to a specific sharing link. Sway is a simple tool that can produce some great results. It’s jam-packed with features to help you with the difficult design bits so you can focus on the content and best of all it’s free. Microsoft doesn’t always get things right, but with Sway, they’ve created something handy, at the best possible price.